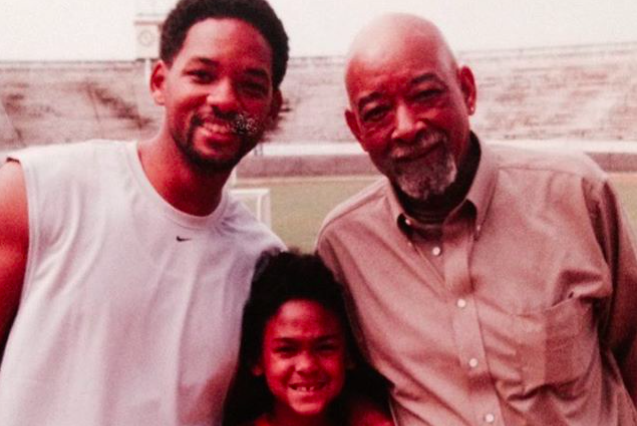 Will Smith pictured with late father Willard Smith Sr. The father of Philadelphia native Will Smith has died, according to an Instagram post from Smith's ex-wife, Sheree Fletcher. Details surrounding the passing of Willard Smith Sr. have yet to be disclosed. Smith himself has not come forward to confirm the loss of his father. From 1992-1995, the actor was married to Fletcher, a jeweler and designer. Smith and Fletcher have a son, 23-year-old Trey Smith. Two years after their divorce, Smith married his current wife, actress Jada Pinkett Smith, and the two have a pair of musically inclined children, 18-year-old Jaden and 16-year-old Willow. In an interview with Essence Magazine, Smith, 48, described his father as a challenging man who kept him directed. "Dad was tough but not tyrannical. He kept me in line. He'd get this look that said, 'One more step, Will, and it'll get ugly.' He was an independent businessman-he set up refrigeration in supermarkets-and he always provided for us. He's a steady and positive figure in my life. Mom worked as a school secretary-she's a supervisor now-and her thing was education. My folks sent me to a Catholic school because it was the best school in the neighborhood, but I felt some of the priests and nuns were racist." Eventually, Smith attended Overbrook High School, a public school in West Philadelphia where he earned the "Prince" nickname that launched his hip-hop career and path to international stardom.